3807 Amberwood Lane in Fairwinds , Nanoose Bay is Sold! in Fairwinds , Nanoose Bay The bi-level at 3807 Amberwood Lane has been sold. 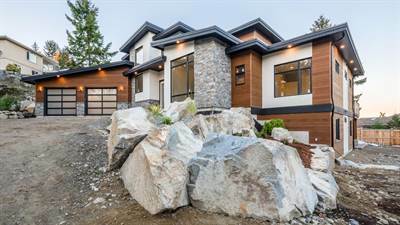 2374 Glenellen Place in Fairwinds , Nanoose Bay is Sold! 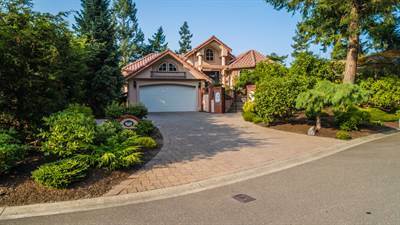 in Fairwinds , Nanoose Bay The 3 story at 2374 Glenellen Place has been sold. 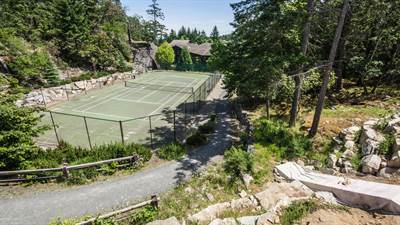 2671 Andover Road in Fairwinds , Nanoose Bay is Sold! in Fairwinds , Nanoose Bay The bi-level at 2671 Andover Road has been sold. The most Beautiful View with western exposure for magnificent sunsets greets you from the minute you enter this engaging Fairwinds home. Almost new, the fabulous floorplan with warm and still contemporary design will delight you with its practical layout. Huge windows, master bedroom and Den all on the main floor for ease of everyday living and a well-proportioned lower level for family, friends and Media. Minutes from the exclusive Fairwinds Golf Course, Schooner Cove Marina, the rec center and miles of pristine walking and biking trails Vancouver Island offers an unrivalled Canadian experienced. Fresh Air, Fresh Water and a Farm to table lifestyle for living your Dream. 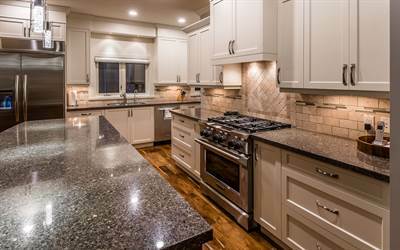 Absolutely spectacular renovated Fairwinds town home. 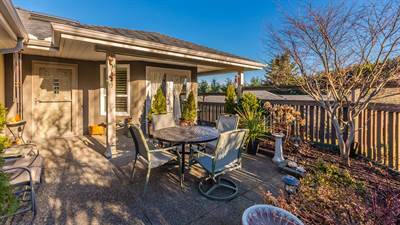 Sought after end unit with large bright windows leading to a sunny private deck and 2nd lower level patio in this 55+ community. This level entry home has been beautifully renovated to provide a gourmet Kitchen, luxurious master ensuite bathroom with heated floor and towel rail, a den with french doors to the charming courtyard and hardwood floors on the main level. The lower level offers 2 spacious guest bedrooms and a large family room with wet bar. Views of the coastal mountains will delight you from this well managed development in the heart of Fairwinds Golf course and Marina. Walk to the Golf Course, the Rec centre with Pool, Gym and many other amenities, the beach at Brickyard Cove and miles of walking trails to enjoy the pristine nature of Nanoose Bay. Only 15 minutes from Parksville and Nanaimo this community offers the perfect location for proximity to Ferries and Airports. Floorplan available. 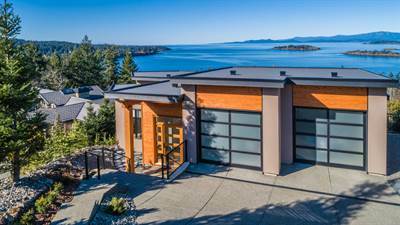 2366 Beckham Court in Fairwinds , Nanoose Bay is Sold! in Fairwinds , Nanoose Bay The bi-level at 2366 Beckham Court has been sold. 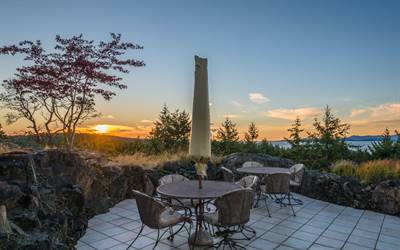 Enjoy Spectacular Ocean views with a rare western exposure. Watch the sun rise and set in one of the brightest homes in Fairwinds. Watch soaring Eagles through expansive windows or from your deck as the cruise ships go by. This enchanting home with an open plan layout, high ceilings, skylights, a gourmet Kitchen with butler’s pantry and a second oven is perfect for the entertainer. An oversized garage has room for 3 cars or a workshop and the low maintenance garden will allow you lots of time for enjoying the amazing Fairwinds Lifestyle. Minutes from Schooner Cove Marina, the Fairwinds Golf Club, Rec centre and walking trails. Come for a visit and find your Dream Home. One of the last 2 homes in the Exclusive Rockcliffe Park development in Fairwinds is now ready for you to view. With only 2 homes remaining in this prestigious enclave this is your chance to find your Dream Home. A large open plan Kitchen with quartz counters, natural gas fireplace, hardwood floors, master bedroom and a den on the main floor for easy living. A walkout lower level with a family room/Rec room, 2 bedrooms and plenty of storage. Walk to the Fairwinds Golf Course, the Rec Centre complete with Tennis, Gym and Pool and minutes from the exciting new development of ‘Fairwinds Landing’ at Schooner Cove Marina and the beach at Brickyard Bay. Come for a visit and Stay for a lifetime, You’ll be glad you did. Photos are of Similar Home.